Balanced Groups can be used when your load-balancer have to serve multiple services. 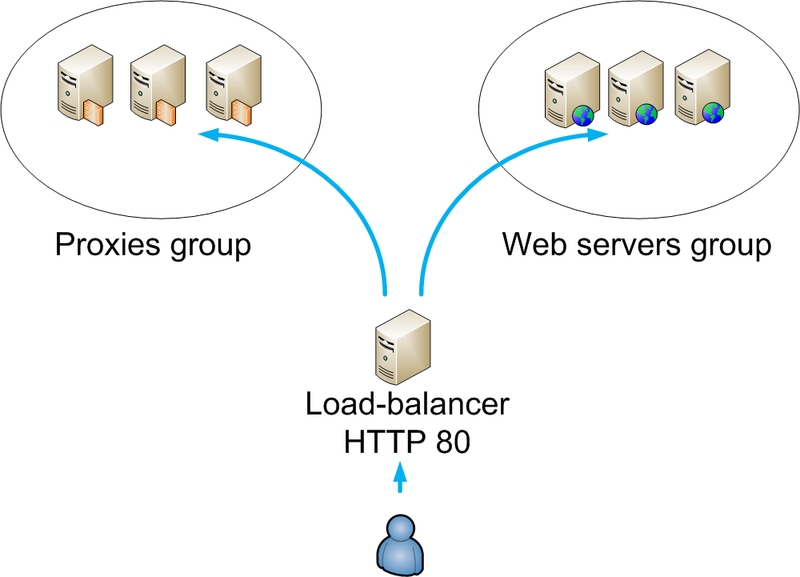 For example we can imagine that a load-balancer have to serve proxies connections and Web servers on the 80 listen port. 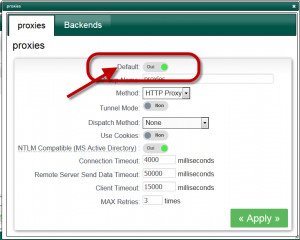 In this case, you can redirect connections according ACLs and groups. 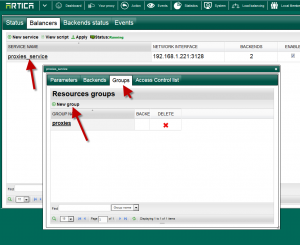 Click on the desired Balancer and choose Groups tab. Click on New group button and set the group name. Open the group properties by clicking on the link in the table. 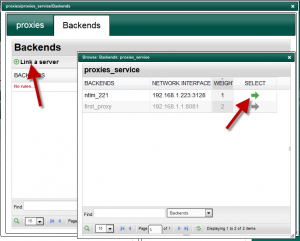 You will see that the group can be set in the same way of a load-balancer service. In this case, each group can have it’s own behavior. 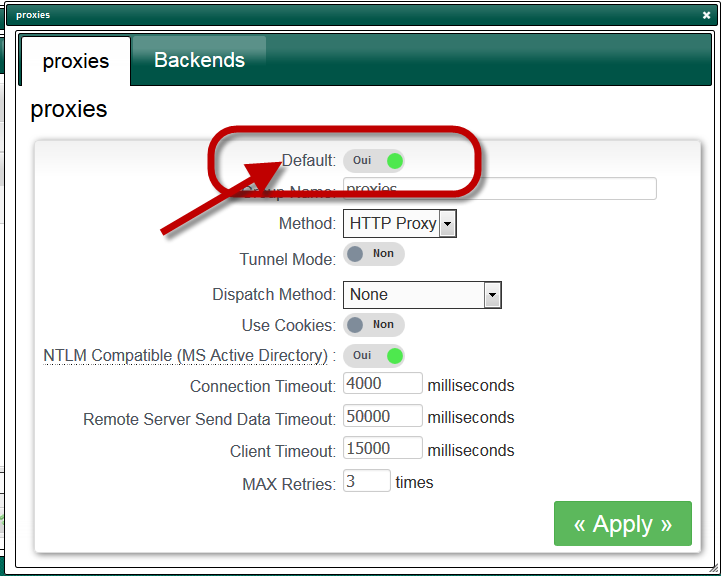 The “default” parameter is mandatory, if you did not have defined ACLS the load-balancer will balance to backend servers defined in the default group. 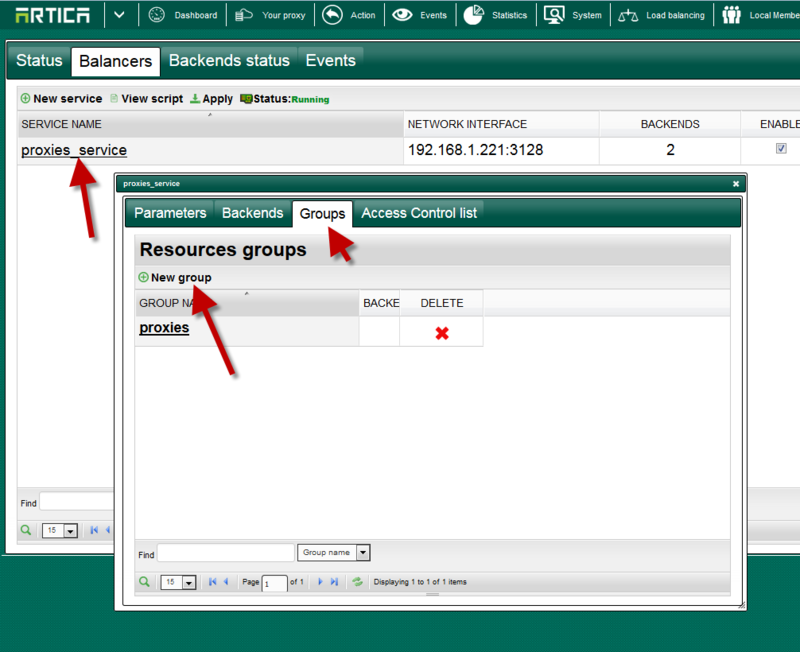 Click on “Backends” tab in order to add target balanced servers in your group. 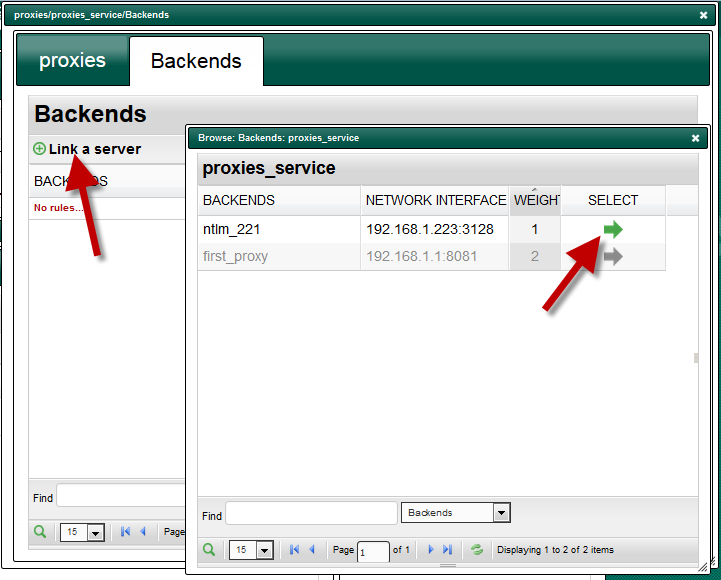 Click on Link a server in order to browse added servers and link a targeted server into your group.